So you want to be a Jedi, eh? This is not going to be a step by step tutorial. Firstly, because I forgot to take pictures as I made my boyfriends cosplay. Secondly, it'd be pretty redundant since the instructions are in the pattern. Part one is going to focus on the outer tunic. First, get yourself a pattern. 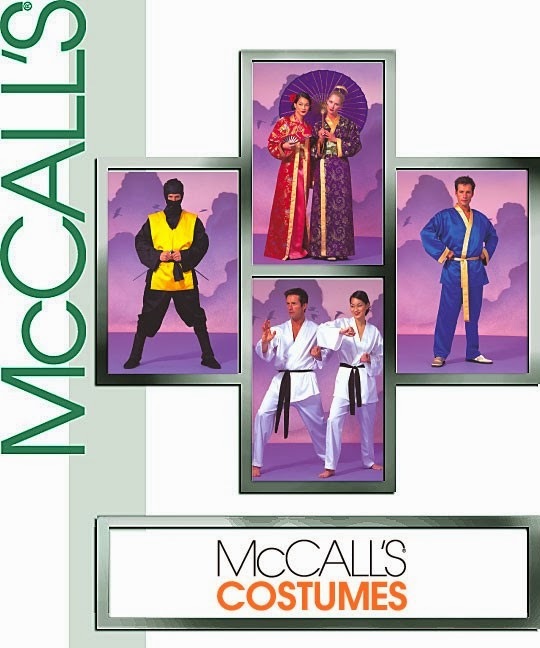 I used McCall's 2940. There is a Simplicty one that shows a Jedi on the front, but it's basically the exact same thing. So whichever you can find cheaper, use that. I did the over tunic. 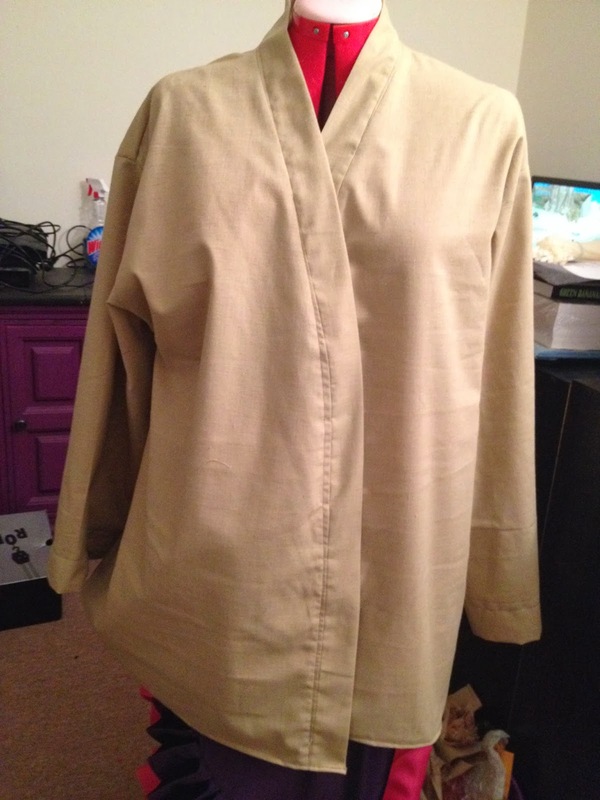 1) Sew the tunic together at the shoulder seam, but not at side seams. Then, sew the sleeve to the shoulder. Now, put it on whoever is going to wear it. Do your size adjustments (if needed). Then, sew the sides of the sleeve and tunic in one shot. 2) Don't forget to cut your notches! It helps curves lie flat. 3) Press your seams! I cannot stress this enough. This is actually a really easy sewing piece, so if you've never sewn before, but want to, this is a good starting point. If you have any questions, leave me a comment and I'll try to help you as best I can. Also, if you have questions, ask the ladies at the fabric place that cut your fabric. Most of the time, they sew. Therefore, they can probably help you. This does not apply if you get your fabric at Walmart. Also, if you have any suggestions for tutorials, or requests, leave it in the comments and I will try to do as many as possible. Eventually, I will have a full Jedi tutorial. But that will have to wait until I make my own Jedi Knight.